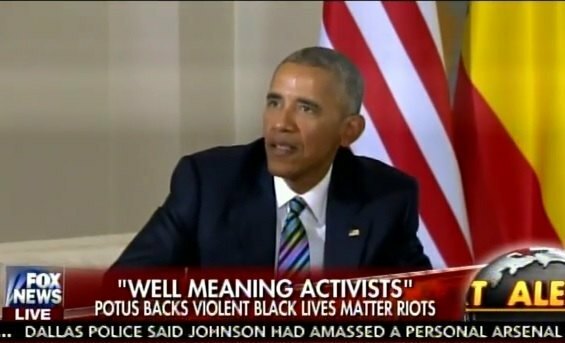 Barack Obama defended the Black Lives Matter movement from Europe after another night of horrific violence. 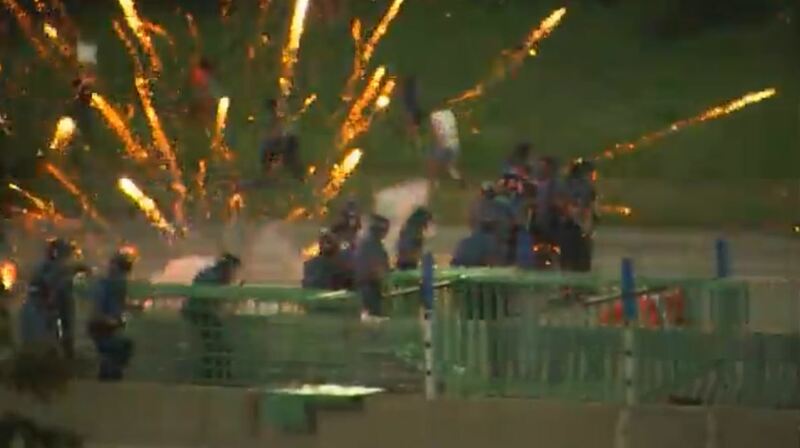 On Saturday race activists in St. Paul hurled rocks, rebar, Molotov cocktails, and fireworks at local police. Several officers were injured. 200 activists were arrested. Barack Obama from Europe: Now in a movement like Black Lives Matter there’s always going to be some folks who say things that, uh, are stupid or imprudent or, uh, overgeneralized or harsh. Uh, and I don’t think that you can hold well-meaning activists who are doing the right thing and peacefully protesting responsible for everything that is uttered at a protest. Black Lives Matter has torched two American cities and murdered and injured hundreds of police officers. This is NOT a peaceful movement, Mr. President.